How to reach the port by car: from the A12 Genova-Livorno-Rosignano motorway take the exit "Livorno" as well as from the A11-A12 Florence-Pisa-Livorno motorway (both are connected to the A1 and, through the A1, at the Brennero). Then take the state road S1, follow the signs for the "Port of Livorno" or for the "Port Authority". The port of Livorno is also connected to the S.G.C. Florence-Pisa-Livorno. 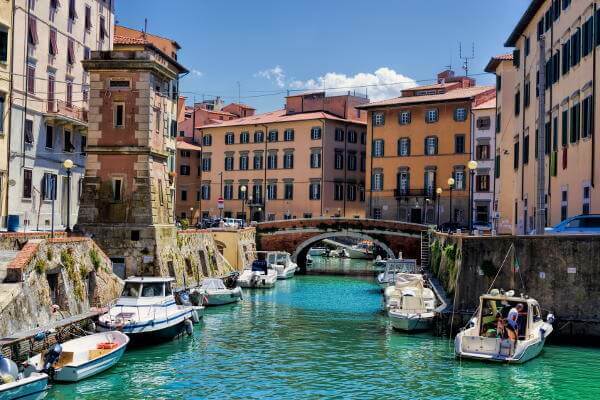 By train: the port of Livorno can be reached from Livorno Central Station by bus to Piazza Grande; from here there are about 10 minutes to reach the Port Authority and the Maritime Station while there are no buses to reach the commercial port. Leaving the highway at Livorno, to reach the Darsena Toscana, you must take the highway FI / PI / LI in the direction of Porto and continue straight and then keep the left and follow the signs "Darsena Toscana Est - Viale Mogadishu". Do you want to travel with your family to get to Livorno? Do you like adventure and freedom and you want to reach the destination Livorno with your moto ? These are the shipping companies that serve the routes to Corsica Sardinia Elba Ferries, Moby Lines - Moby, Toremar, Grimaldi Lines, Corsica Ferries.